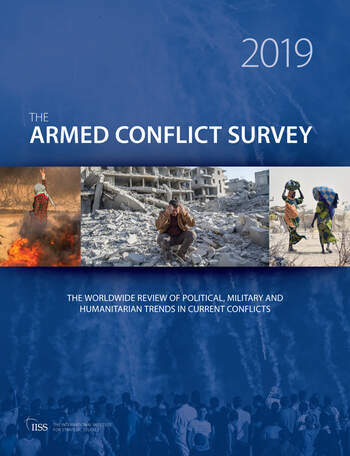 The Armed Conflict Survey provides in-depth analysis of the political, military and humanitarian dimensions of all major armed conflicts, as well as data on fatalities, refugees and internally displaced persons. Compiled by the IISS, publisher of The Military Balance, it is the standard reference work on contemporary conflict. The book assesses key developments in 36 high-, medium- and low-intensity conflicts, including those in Iraq, Syria, Afghanistan, South Sudan, Israel–Palestine, Southern Thailand, Colombia and Ukraine. The authors’ discussion of principal thematic and cross-national trends complements the detailed analysis of each conflict at the core of the book. The Armed Conflict Survey also includes maps, infographics and multi-year data, as well as the IISS Chart of Conflict.